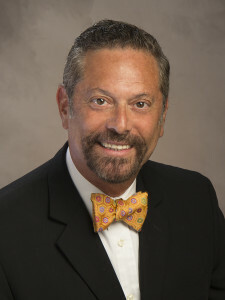 David Schlosberg, Esq. began his practice of law in 1979 practicing in the areas of Estate Planning & Probate Law, Real Estate, Landlord-Tenant (Leases & Evictions) Business Law, Contract Negotiation/Drafting and Collection & Foreclosure. From 1990 to 2010 he was General Counsel of Miami’s TotalBank, where he advised the Bank on matters of Banking Law, Creditor’s Rights, Corporate Law and Real Property Law. Since resuming private practice in 2010, he has returned to the roots of his original practice, focusing on Estate Planning (Wills & Trusts), Probate and Guardianship Administration, Corporate Law, Corporate and Real Estate Transactions and Landlord-Tenant law, while continuing to advise clients in matters of Banking Law and Collection. Mr. Schlosberg is a member of the Florida and New York Bars and is fluent in Spanish and English. He became Of Counsel to Lusky & Rodriguez, P.A. in 2013.